Posted December 6, 2016 by Suwannee River Rendezvous & filed under Suwannee River Activities. There are few activities in life as fulfilling or relaxing as enjoying some quality fishing, and if you can do it in such a beautiful place as Suwannee River then that is even better! 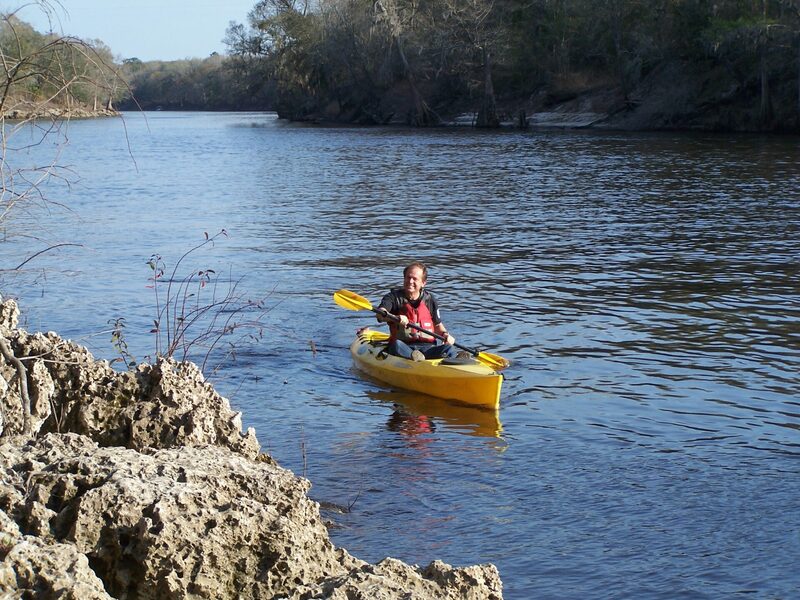 Here at Suwannee River Rendezvous, anglers can enjoy some of fun in the sun right alongside this famous river as you try to catch some of the most sought-after fish in the area. 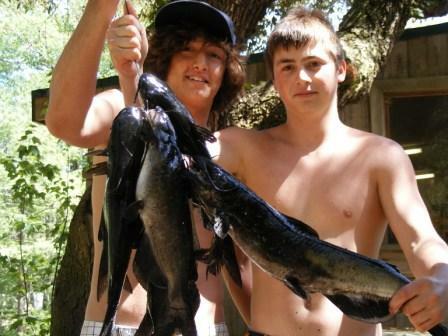 There is plenty of great fishing to be had with Suwannee bass, largemouth bass, channel catfish, blue gill, sunfish and more up for grabs within the river’s waters. Fishing is a splendid way to bond with your loved ones or just get away from it all and spend some time soaking in the glory of nature as you let your worries slip away. 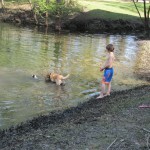 It is also a chance for the little ones to experience a connection with nature that they just can’t get in the real world. But don’t take our word for it – check out our gallery of fishing fun featuring adventurers of all ages! As with all forms of hunting, some restrictions and regulations must be met. When fishing here in Florida, a fishing license is required – most of the time, anyway, as the state Fish and Wildlife Conservation Commission offers a few days each year for license-free fishing. 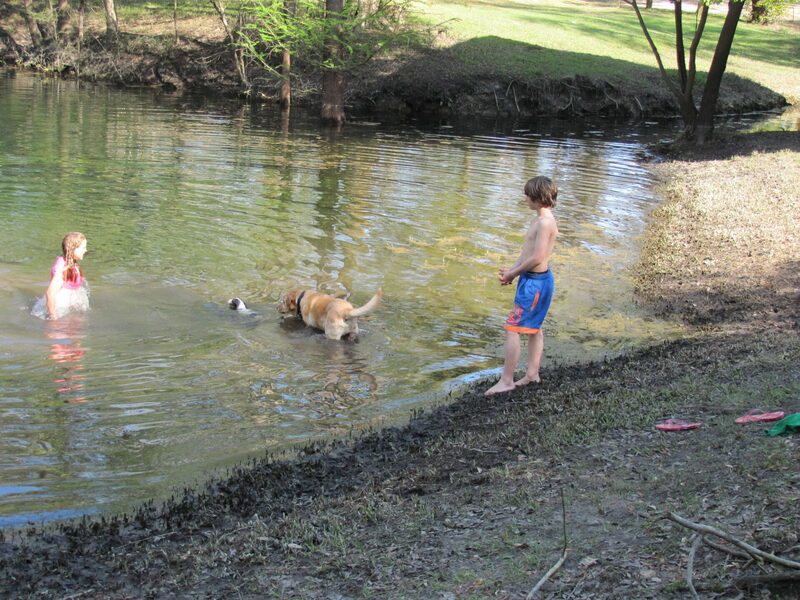 The free freshwater days are the first Saturday and Sunday in April and the second Saturday and Sunday in June, so if you’re thinking of making a trip from out of state on those dates, make sure to bring your poles and fish without needing a license. 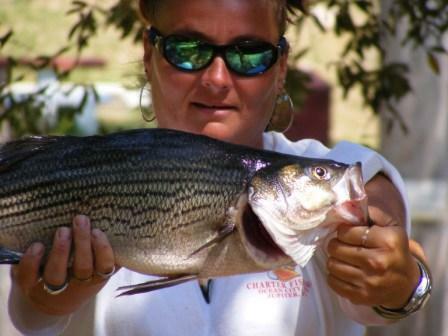 Don’t forget: Fishing restrictions still apply on those dates, so be sure to review the state rules on catch and size limits. In the end, it is important to remember that fishing at the Rendezvous is really all about fun, relaxation and the love of the sport. Our property is rich in its history and is the perfect place for people around the country to come to have their own little fishing adventure and relaxing respite in Floridian paradise. 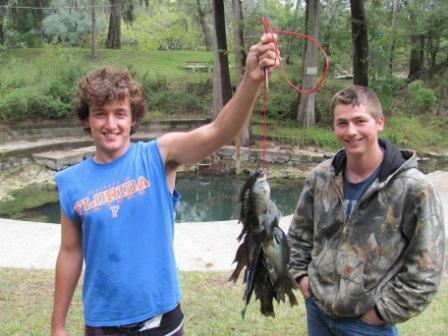 Plan your fishing and camping trip at Suwannee River Rendezvous today. Learn more or book your stay by calling us at 386-294-2510. Posted November 1, 2016 by Suwannee River Rendezvous & filed under Camping. Camping is a fantastic activity for any young child. There is so much to learn and discover in the wonder of nature, removed from the noise and distractions of society for a little while. It is relaxing to just unplug from the hustle and bustle of life, but that doesn’t mean that your children can’t also learn something while spending time camping. Beyond just developing and growing your son or daughter’s appreciation for the wilderness, kids can learn a few important things about life from taking a camping trip. The first thing that your child can learn is how to set up a campsite upon arrival. This involves many different steps, from identifying the best place to set up a tent, to clearing a tent location from stick and rocks, how to set a tent up and more. They can also help with other setup tasks, like putting up tarps for shade or rain protection, as well as gathering firewood and kindling. This will set your child up for success for your next camping trip and any trips they may take with friends or other family members in the future. As previously mentioned, it is often wonderful to take a break from your busy schedule and do something a bit different. Camping allows you to take part in unplanned activities each day without having to worry about meetings or what time it is. Activities like fishing, canoeing or hiking are fantastic ways to snap out of the norm and experience something new, and can even introduce children to a new favorite hobby or pastime. Fishing and hiking are great ways to gain an appreciation for nature. Catching then reeling in your first fish is an experience unlike any other. The feeling of that fish in your hand after you’ve reeled it in is something you never forget, and can introduce a child to a lifetime love for the sport. Hiking is another fun outdoor option, and gives you and your child a chance to see nature you wouldn’t normally see in your backyard. Seeing wild animals in their native habitat is a serene experience and can make your child appreciate the world around them that much more. Building a fire is an essential skill for anyone. When you grow up, you might need to light a fire in a fireplace or create a small fire during a tailgate or while on another camping trip. Your child’s first camping trip is the perfect time for them to learn how to start a fire from scratch. It’s a lifelong skill that your son or daughter can carry with them for the rest of their life. It’s still camping season here in Florida, so there’s ample time to book a weekend camping trip for you and your family! 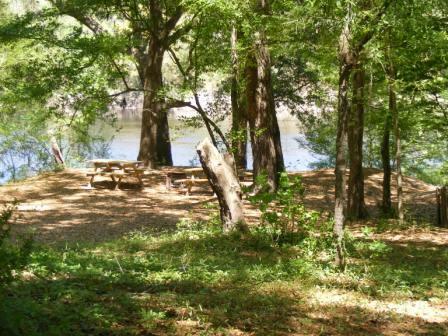 Suwannee River Rendezvous has many primitive campsites available as well as sites that offer electric and water connections for those who don’t want to full rough it. Our affordable rates mean that your camping trip won’t break the bank, either. 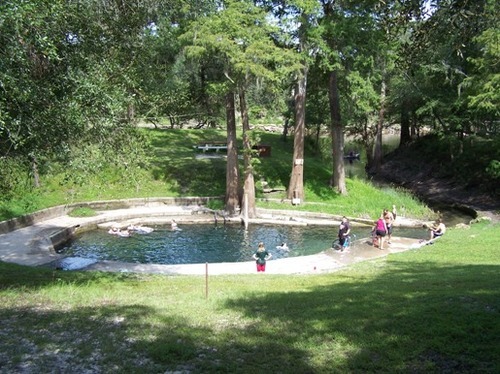 Book your camping trip today or learn more about our campsites by calling 386-294-2510. Posted October 10, 2016 by Suwannee River Rendezvous & filed under Miscellaneous. 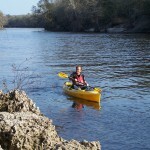 The Suwannee River offers plenty of excellent sights and fun activities. Unfortunately, it does become dirty as debris and trash from careless campers, drivers and others finds their way into it. That’s why we here at Suwannee River Rendezvous hold an event to help clean it up. The sixth annual Great Suwannee River Basin Cleanup will take place Oct. 29, 2016, and offers a great opportunity for volunteers to join together to clean up the river that gives us so much. The event begins at 9 a.m. and all volunteers are encouraged to come help us and others from the community and area to clean the Suwannee River. The more people who come to help, the more we will be able to accomplish together! Last year’s cleanup was a huge success, with Suwannee River Rendezvous staff and volunteers able to remove more than 700 pounds of trash from the river. For anyone interested in heading out on the river to help clean up, boats are available on a first-come, first-served basis. Shuttles will also be provided at no charge for volunteers to get from location to location throughout the cleanup. Once the cleanup is done, there will be a Costume or Not Dance Party for all volunteers to enjoy as a reward for their hard work throughout the day. 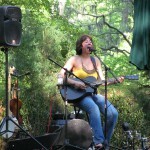 The event will feature food and drinks and music by the band Salt Water Cowboys. 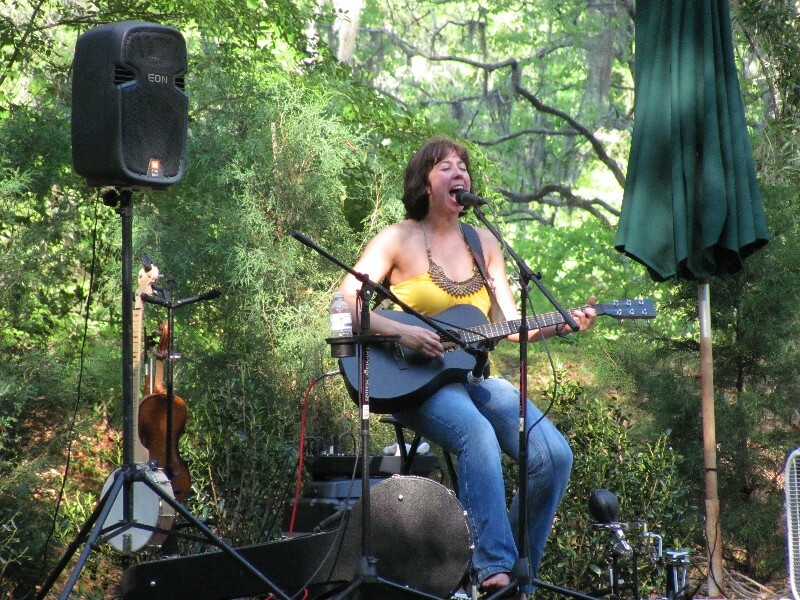 Guests can also plan a stay at Suwannee River Rendezvous and enjoy our lodgings for the weekend. 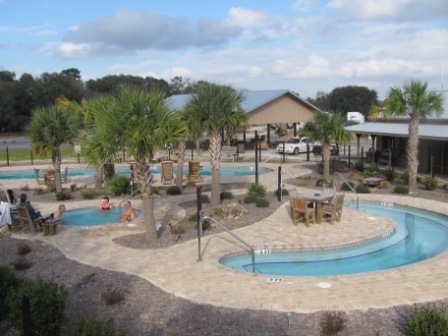 With space for families, single volunteers or groups, there’s no shortage of comfortable accommodations to rest after a long day helping to keep the Suwannee River Basin clean. 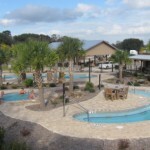 Suwannee River Rendezvous in Mayo, Florida, offering camping, fishing and kayaking and more for the whole family can enjoy. 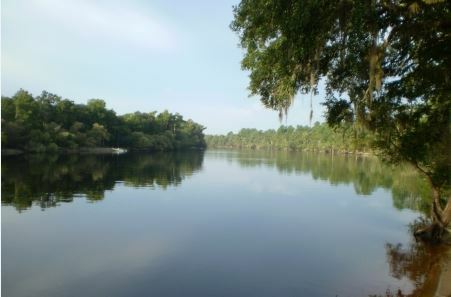 The Suwannee River is a beautiful body of water and it is truly something to behold when you stay with us. 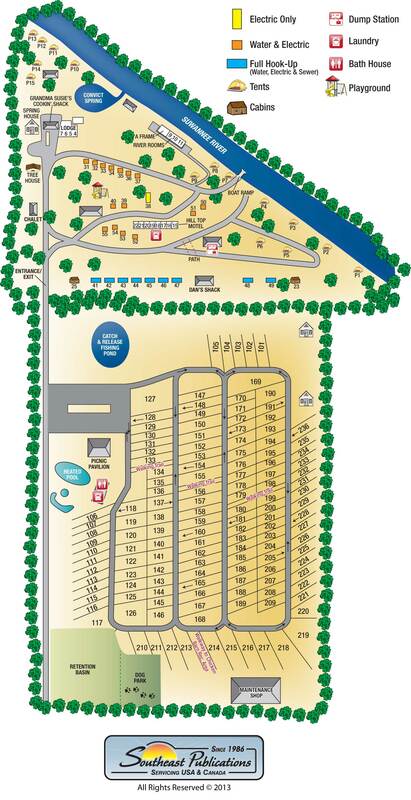 For more information on the Great Suwannee River Basin Cleanup or to book your stay, call us today at 386-294-2510! Posted September 28, 2016 by Suwannee River Rendezvous & filed under Suwannee RV Resort. Posted September 21, 2016 by SRRR Staff & filed under Suwannee River Activities. Stand up paddle boarding (or “SUP) is one of the world’s fastest-growing water sports, and the Sunshine State is a top-ranked place to paddle. The state of Florida has an abundance of amazing paddle boarding spots, and one of them is right here on our very own Suwannee River! So why is the relatively new sport of paddle boarding catching on like wildfire? There are several reasons, and in this article we’ll take a look at a few of them. Stand up paddle boarding is a sport that is very beginner-friendly. There really isn’t much of a learning curve, and literally anyone can be up and paddling in no time at all. Reason #2: It’s for all ages. Paddlers of all ages are enjoying this wonderful sport. It’s a low-impact activity that is safe and can be enjoyed by the entire family. Reason #3: It’s a great way to meet new people. SUP is a social sport, and there are an abundance of local paddling meetups that you can attend. Most paddle boarding enthusiasts are laid-back and friendly, and it won’t take long for you to make plenty of new paddling friends. Many paddle boarders enjoy bringing their dogs along when they go out on the water. 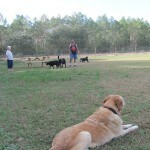 It’s a great way to get your pup out of the house, and most dogs absolutely love coming along for the ride! Stand up paddle boarding is a great way to get into shape, and it’s an excellent activity for increasing strength and overall conditioning. Whether your goal is muscle toning, weight loss, or simply some tranquil time away from the hustle and bustle of everyday life — SUP is something that will have a positive impact on your overall health and well-being. As you can see, stand up paddle boarding is a sport that has a lot going for it. It’s something that anyone can enjoy, and can have a very positive impact on your social, mental, and physical well-being. If you haven’t already tried paddle boarding, we encourage you to give it a shot! If you want to learn more, our friends at InflatableBoarder.com have a free guide about Florida paddle boarding that we would recommend checking out. It covers the top spots in the state for paddle boarding, and even lists the Suwannee River as one of them! They also have a lot of inflatable SUP reviews published on their website, if you’re interested in buying a board of your own. Posted August 10, 2016 by Suwannee River Rendezvous & filed under Suwannee River Activities. The beginning of hunting season is a holiday in many parts of the country, and here in Florida there are many great seasons to consider when it comes to opportunities to hunt and fish. For example, this past year at Suwannee River Rendezvous, we had had a great season of hog hunting, with guests coming from all across the country – and of course from throughout Florida – to enjoy a successful season of hunting wild hogs. If you’re looking for a different hunting experience this year, come join us down at the resort to take part in this fantastic sport. There are also trapping seasons, archery seasons and small game seasons so that you can hunt a wide variety of wild birds and small animals or test your marksmanship with a bow. Learn more about the full range of regulations and hunting season dates from this Florida Fish and Wildlife Conservation Commission brochure for the Mallory Swamp area. If you’d rather fish, the Suwannee River is perfect for that, too. 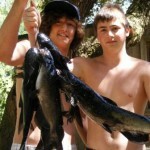 We have fishermen come back with big catches nearly every day, ranging from bass to catfish to sturgeon. In fact, we have some sturgeons that weigh in at more than 200 pounds, though you can’t keep them. They do, however, make for a great photo and an even better story that you can tell by the campfire. 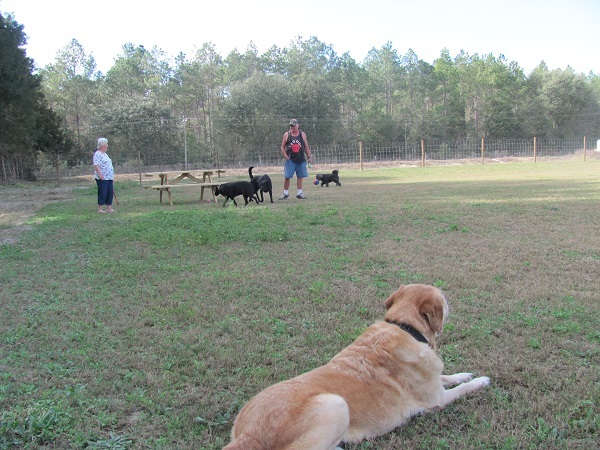 Located in Mayo, Florida, about halfway between Jacksonville and Tallahassee, Suwannee River Rendezvous serves as a getaway for hunters and outdoor enthusiasts of all kinds. 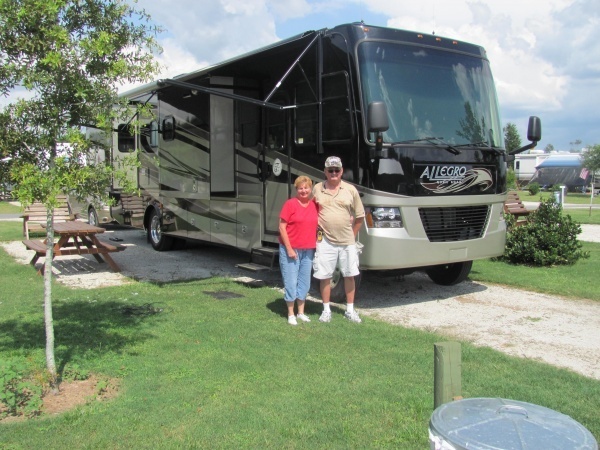 Some of our guests love the outdoors so much, they’ll drive their RVs to the resort and spend their days exploring the Florida wilderness or stalking wild hogs while enjoying nights at the campground beneath the stars. 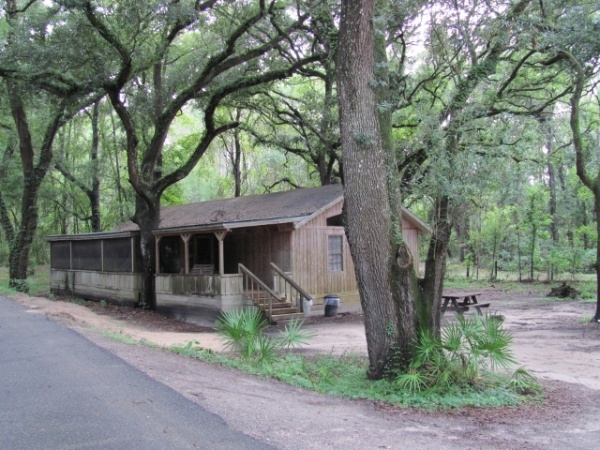 Before you plan your next hunting or fishing trip, think about planning your stay at Suwannee River Rendezvous. We have hunting and fishing opportunities all around the region, not to mention other activities on the river, such as kayaking and canoeing, that can make for a fun trip for the whole family. Our weather is great all year round, so make your next hunting vacation one with us. Learn more or make your reservations today by calling 386-294-2510. Posted July 22, 2016 by Suwannee River Rendezvous & filed under River Lore, Suwannee River Activities. Posted June 29, 2016 by Suwannee River Rendezvous & filed under Suwannee River Activities, Suwannee RV Resort.